I'm back! While I'm catching back up with life after my holiday vacay, I'll be sharing with you some archived posts. I wore this look to a dinner meeting in New York. It's simple and easy to do and I got some major compliments from Celebrity MUA Reggie Wells. I apologize for the super yellow hotel lighting. It does almost look like a cool filter though lol. I flew into New York and had to head straight to dinner so I wanted a look that would take me straight to the airport. I used from my Custom Alcone at Home Palette. 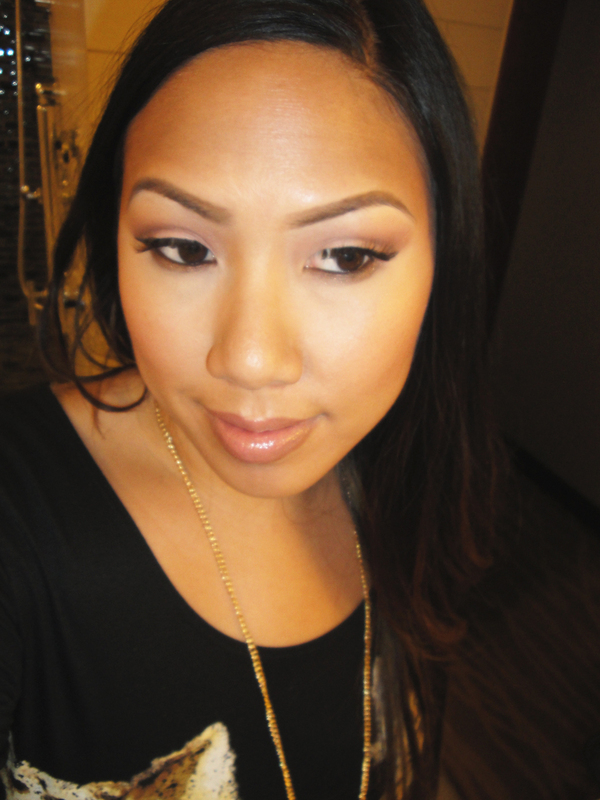 Instead of using my typical browns in the crease, I also added a bit of pink blush to warm up the look. I'm also wearing House of Lashes - Pixie Lashes. I like these! Top it off with a glossy pink lip and you're good to go. Hope you enjoyed! I'm on a roll with these FOTDs lol. I promise, more product posts coming soon!